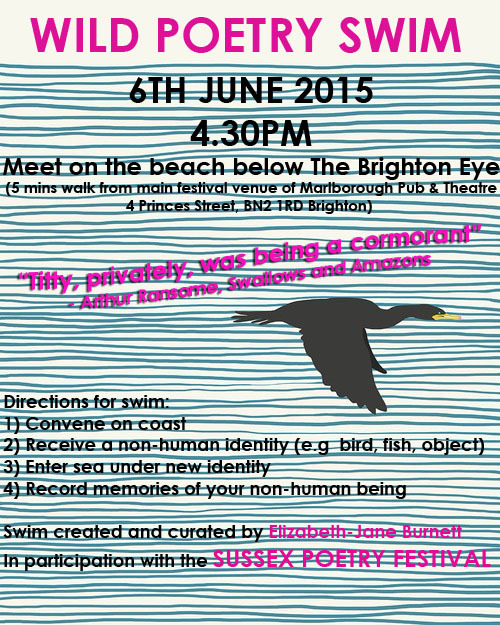 Saturday, 6 June 2015, 4:30pm: meet on the beach below the Brighton Wheel (about a five-minute walk from the Marlborough Theatre, where all readings are held). Created and curated by Elizabeth-Jane Burnett. This is an unticketed, free event!